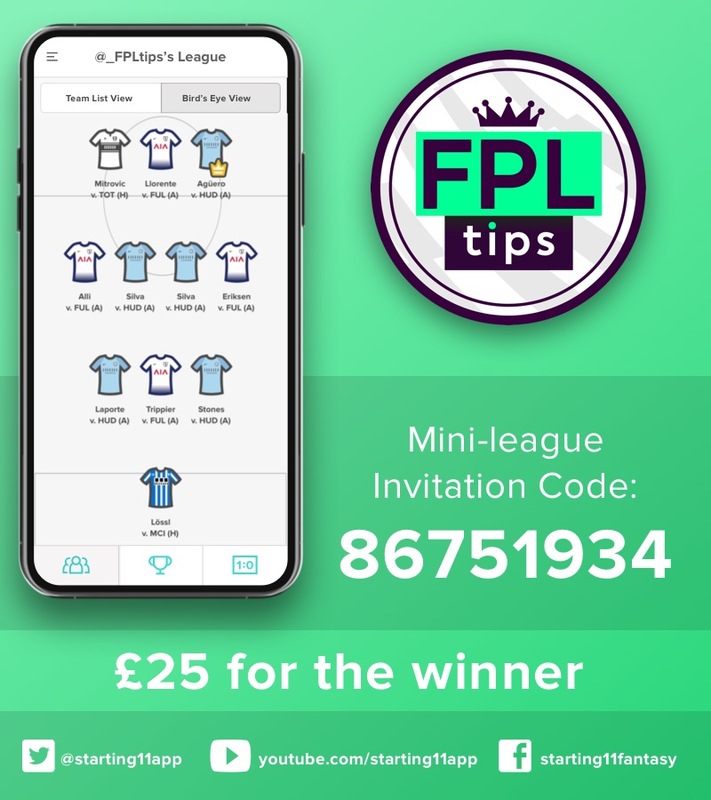 FPLTips' Team Selection - Gameweek 23 | Harry Kane Replacements? Tottenham Hotspur’s Harry Kane expected to be missing until March – so who are we going to replace him with? Two key players have picked up injuries, with Harry Kane expected to be missing until March, while Alexander-Arnold has been ruled out for approximately 4 weeks due to a knee injury. Whilst Aubameyang or Jiménez provide more “template” replacements for the Spurs forward, Roberto Firmino has found some form of late and has the fixtures to provide a strong alternative option. In the last 4 Gameweeks, only Rashford (10) has taken more efforts on target than Firmino’s 10 amongst forwards and the Brazilian has matched Salah’s total of 5 big chances in that time. 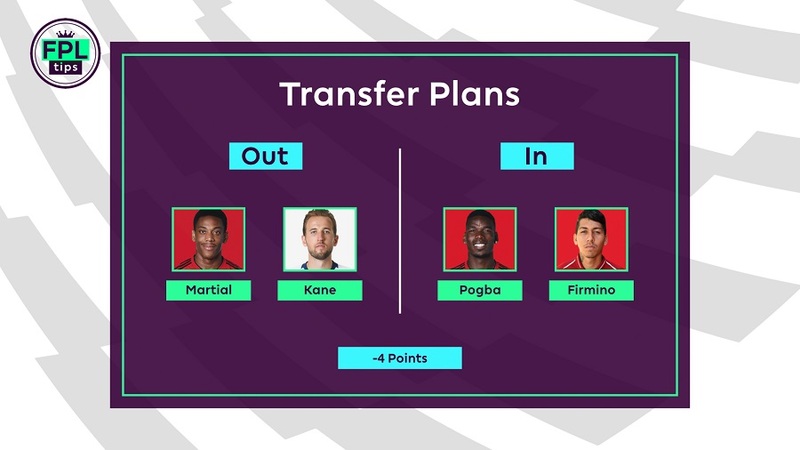 That move would also free up the cash necessary to finally upgrade Anthony Martial to Paul Pogba, though whether that will be worth a hit this Gameweek is a tough call to make. In the last 4 Gameweeks, Pogba’s total of 19 shots is far ahead of Martial’s 4 and he’s produced 11 attempted assists to his fellow Frenchman’s tally of 5. 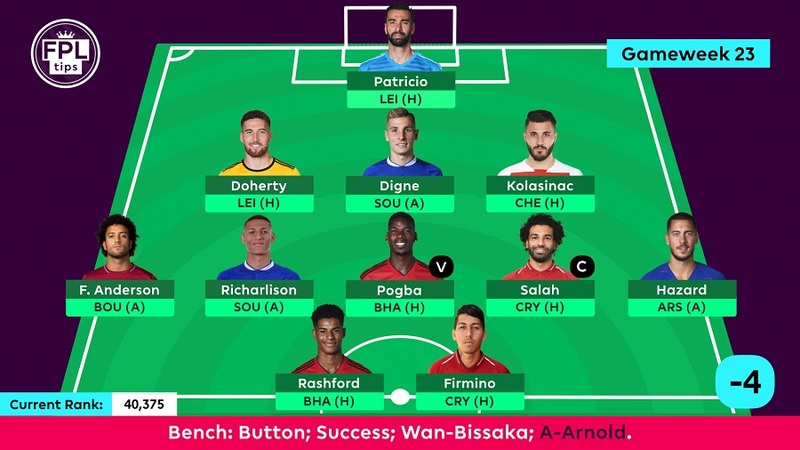 For now, the plan is to look to the bench to cover Alexander-Arnold’s injury, although a hit to Andrew Robertson could be an alternative option, if keeping Martial over Pogba for an extra week. Rui Patricio returns between the sticks as Wolves host a Leicester side that have only managed 3 goals in their last 4 away matches; only Bournemouth and Huddersfield (each 1) have scored fewer. With Alexander-Arnold sidelined, Sead Kolasinac reluctantly keeps his place for Arsenal’s meeting with Chelsea at the Emirates, more in hope of attacking returns than a clean sheet. 3 big chances created by the left-back in the last 4 Gameweeks is on par with Sterling and Salah; only David Luiz, Iwobi and Westwood have managed more – with 4 apiece. Lucas Digne remains top amongst defenders for chance creation this season (40), while Matt Doherty leads the way with his 15 efforts on target. So, attacking potential is once again the theme in defence. Felipe Anderson faces a Bournemouth side that have shipped 16 goals in the last 6 Gameweeks; 4 more than any other side. He’s looking to end a run of three games without a return, having contributed to 11 goals so far this season. Richarlison is also on a three game dry spell but in the last 4 Gameweeks, no midfielder has taken more than his 13 shots inside the box. Only Cardiff (62) have faced more goal attempts from inside the box than Southampton (55) over the last 6 Gameweeks and only 4 teams have conceded more big chances (14) in the same period. Paul Pogba has now returned 4 goals and 5 assists in 5 league games since Ole Gunnar Solskjær took charge of Man Utd, giving him a 60% goal involvement over that period and an astounding average of 10.8 points per match. Mohamed Salah has recorded double-figures in 4 of the last 5 Gameweeks, with 4 goals and 3 assists in that time. He’s scored in 6 out of 7 home matches against teams outside of the ‘top six’ this season, averaging 8.9 points per match and it will take a brave manager to bet against giving him the armband when Crystal Palace visit Anfield this weekend. Eden Hazard’s numbers have dipped slightly after his quiet game against Newcastle but amongst midfielders, his 3 big chances in the last 4 Gameweeks can only be bettered by Salah (5). Arsenal have shipped 15 goals in 6 matches against the ‘top six’ this season, at an average of 2.5 per game. 10 shots on target by Marcus Rashford in the last 4 Gameweeks ranks top amongst forwards, with only Paul Pogba (14) managing more across all positions. But Brighton gave Liverpool a tough game last weekend and they’ve conceded only 11 goals in 7 matches against ‘top six’ sides this season, 1.6 per game on average. Roberto Firmino has scored 4 goals in the last 4 Gameweeks; matched by only Paul Pogba and only Rashford (10) and Pogba (14) have produced more than his 8 efforts on target in that time. But just like Brighton, Crystal Palace have also conceded 11 goals in 7 matches against the ‘top six’ this season. The Eagles have kept 8 clean sheets this season and won’t make life easy for Liverpool but it’s hard to bet against giving Mohamed Salah the captain’s armband, with his current form and history against teams outside of the ‘top six’.